Rachel Simon - Read. Think. Act. 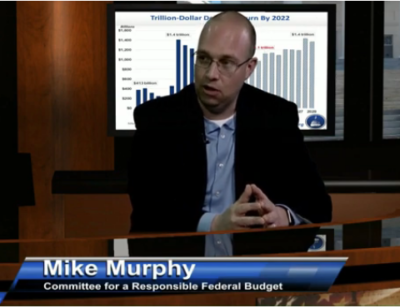 (March 25, 2019) Catherine Read sits down for an in-depth discussion about the federal budget with Mike Murphy, Chief of Staff for the Committee for a Responsible Federal Budget (CRFB). The CRFB is a non-partisan nonprofit that believes a budget should be a statement of a nation’s values and priorities, as well as a statement about how what type of country is passed down to the next generation. The goals of the CRFB include educating the public, public officials, and policy makers about the importance of addressing the debt; and to advocate for fiscally responsible policymaking. The CRFB has a campaign right now called “Fix the Debt”. It is simple in its messaging, but encompasses many important priorities. Murphy breaks down the components of the budget for Catherine, and why the time to act is now. He acknowledges that when regular people think about the enormity of the federal budget, it can seem out of touch and people have a hard time relating to it. Murphy likes to equate the federal budget to something simpler, like a family budget. When a family decides to take on debt to buy a house, they generally make decisions based on what they can affordrelative to what they earn. The federal budget is pretty much the same thing, just on a much larger scale. When doing a family budget, sometimes there are tough decisions that need to be made. If a family cannot afford something, than they cannot have it. He believes that there are currently no decisions being made on a federal budget level, and America is borrowing at an alarming rate. When the bill finally comes dues, there will be many issues of how to handle the problems that will ensue. Today the federal budget is approximately 4.4 trillion dollars. There are two types of spending in the federal budget- mandatory spending and discretionary spending. Mandatory spending includes programs that are set in place by law and Congress does not have much say in making decisions about it. These include Social Security and Medicare benefits, as well as programs like the Affordable Care Act (ACA) and Medicaid. This accounts for between 60-70% of the overall spending. The remaining 30% is discretionary spending, which is decided by Congress. These include agency budgets, defense and all other spending categories and initiatives. Over the past 40-50 years, the ratio of the mandatory to discretionary funding has reversed. It used to be that 70% of the budget was discretionary, which gave lawmakers much more flexibility in planning and deciding on budget priorities. Today, only 30% of the budget can be changed. This is currently the Congressional budget period, as lawmakers are to be putting their budgets together in order to make a resolution by April 15th. On the revenue side, Murphy shares that approximately half of the revenue comes from individual income taxes, about 35% from payroll taxes (Social Security and Medicare withholdings), and the remainder comes from other miscellaneous taxes collected by the IRS. A deficit occurs when the annual spending is greater than the annual revenue. Today, that annual difference amounts to $900 billion a year. In February alone, the federal deficit was $230 billion for that one month. The federal debt is the accumulation of past deficits. 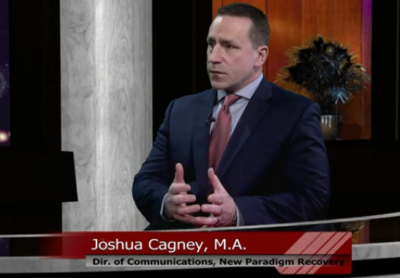 Today, the Gross National Debt is $22 trillion dollars, and if we continue to operate under the current system it is expected to grow by $10 trillion over the next 10 years. Those are some big numbers. How can people wrap their heads around this, and why is it important? Murphy explains that as this debt grows, the government is required to pay interest on the money that is being borrowed, much of which is from foreign countries. Interest payments are the fastest growing expense in the federal budget. By 2032, America will be spending more on interest payments than they do on all federal programs for children. If the deficit spending is not addressed now, it is a monster that will continue to grow. From an economic standpoint, more public debt that is accrued will slow growth and wages over time, and can lead to higher interest rates for consumers. Additionally, there are national security reasons as to why America should lower its debt. The more the country spends on interest, the less it can spend on other important initiatives. As the country accumulates more debt, it is limiting its “fiscal space” and might not be able to borrow for a national emergency. Additionally, borrowing from other nations can lead to potential geo-political problems. And lastly, from a moral perspective, the CRFB believes that passing this kind of burden on to the next generation, simply because they are not willing to make hard choices, is simply wrong. Murphy shares that the unwillingness of Congress and the federal government to take this issue seriously, and get the budget in line, is symptomatic of a dysfunctional system that is not working properly. Congress continuously kicks the can down the road, but has not made any hard decisions about the deficit spending in many years. Recently, Murphy attended a conference of high school kids from around the country. He posed a couple of questions to them about the current political climate, and their answers very much mirrored public opinion polls conducted over recent years. First he asked how many of the students believed that the polarization in our society is threatening our way of life. Almost every hand in the auditorium of 1000 students went up. The Pew poll that asked the same question showed that 87% of those questioned also felt the same way. The second question he posed was a little more radical. He asked how many of them believed that the current polarization could lead to a civil war? About 50% of the hands went up. When Rasmussen asked the same question, about 30% of the respondents said that they thought it was a possibility. Murphy believes that this indicates that there is a hunger for a conversation about moving past the current political divide in order to address the root causes of these problems. In the final segment, Catherine and Mike talk about myths surrounding the federal budget. It is important to understand the facts and why they are true. If you stop and think about your own personal consumer debt, than it is not to hard to understand that you cannot borrow indefinitely without there being some sort of consequence. In the case of a federal budget deficit, the result can be significant inflation. Those who are proponents of tax cuts will try and make the case that the tax cuts will spur growth, and the tax revenue collected from the growth in the economy will cause the cuts to pay for themselves. This has historically shown not to be true. This will never solve the problem. We could levy a 100% tax on the 1% and it would still not solve the problem. In conclusion, with the federal debt rising every day, the country is on an unsustainable path. Today the federal deficit sits at 78% of the total economy. If an individual was planning their own personal budget, would they have a mortgage that required them to spend 78% of their income? Historically, when the debt was at a more manageable level it has lived in the 35-40% range. The only other time in our history that it has been this high was during World War II. If the current trends continue, the debt will be 100% of the total economy within the next 10 years. With an aging population, there will be fewer people working and paying into the system, and more people who need benefits. The Social Security Trust Fund is projected to be insolvent by 2034. Now is the time for lawmakers to sit down and begin the serious work of coming up with a plan of how to address these problems. These conversations will be deep, and they will need to come to the table with an open mind and an open heart. Trust will be the key to finding a workable solution. Trust in one another, and trust that one side will not abandon their word if a compromise is reached. (March 11, 2019) Catherine Read interviews four women of color who are seeking the Democratic endorsement for local office in Fairfax County. Karen Keys-Gamarra is running for Member-At-Large on the School Board; Ricardy Anderson is running for Mason District representative on the FCPS School Board; Kelly Hebron is running for the Board of Supervisors in the Lee District; and Alicia Plerhoples is running county-wide for Chairman of the Board of Supervisors. School board endorsement votes are held by the Democratic Committees in each magisterial district, the at-large endorsements will take place on May 21 at the countywide meeting of the Fairfax County Democratic Committee. Primary elections for the Board of Supervisors positions will be June 11th. 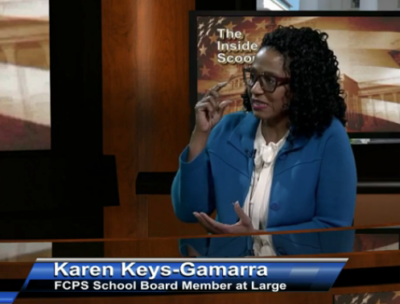 In the first segment Catherine speaks with Karen Keys-Gamarra, who is the current At-Large School Board Member and is running for reelection. Keys-Gamarra was first elected in a 2017 special election. Her current roles on the board consist of serving on the committees that oversee Governance and Audit, as well as being the Board liaison to the Title 1 Parent Advisory Committee and the Community Criminal Justice Board. She has a strong commitment to transparency and good governance practices. With the school system being allocated approximately 50% of the county budget of 1.5 billion dollars, she aims to ensure that the school system is a good steward of those funds. Additionally, Keys-Gamarra is strongly committed to the One Fairfax policy, recently adopted by both the School Board and the Board of Supervisors. This policy promotes equity, and asks all policy makers to put on their equity lens when crafting programs and agendas. This effort is to ensure that the county is offering a quality, world-class education to all students who live in all corners of the county. It is also designed to so that children have access to the necessary services in order to thrive. During her time on the Board, she has also worked collaboratively to rewrite the Memorandum of Understanding for School Resource Officers, in order to provide guidance and ensure equity on how disciplinary challenges are managed. The School Board is currently tackling a number of other very important issues, including setting up policies for boundary changes, addressing overcrowding in certain communities, improving access to advanced academic services to underserved communities and reviewing discipline policies. The ultimate goal is to deliver a world-class educational experience for all 190,000 students across the school system. As the 10th largest school system in the county, with a proud history of achievement, Keys-Gamarra believes it is imperative for the school board to address these issues head on with innovative and forward-thinking solutions. To learn more about her platform you can visit her website. 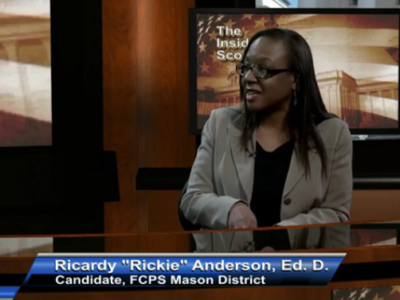 Dr. Ricardy Anderson, a resident of Mason District since 2008, is running to represent her home district on the FCPS School Board. She is seeking the Democratic nomination in the Mason District. Anderson, a former teacher and principal, holds a Doctoral Degree, and is the only professional educator running for the seat. She brings with her a wealth of experience, and a desire to tackle the challenging issues that the School Board faces. With deep roots in the community, along with raising her two young boys in Mason District, Ricardy is acutely aware of the challenges and needs of her district. She has never thought about running for public office in the past, but was moved to serve her community in an educational capacity. She has a lot of ideas and comes with a variety of perspectives to share, as she says there are “many ways to peel the onion”. She is excited to bring some of those ideas to the table in Fairfax County. Her goal is to foster confidence in the school system to all families throughout Fairfax County, no matter where they live. She understands that education is the great equalizer, and wants to ensure that all students have equal access to education. She herself is an immigrant and first generation American, and has seen first hand that her education gave her the opportunity to advance and make a better life for herself and her family. Anderson is also a fierce advocate for competitive teacher pay, and believes that the teachers are the foundation of a strong school system. Her platform includes strengthening equity across the county by strategically implementing the One Fairfax policy, focusing on teacher pay, encouraging the Board to look at restorative justice practices in regards to discipline procedures, strong support of mental health services for students, and opportunities for high school students to access dual enrollment classes through the Community College system. Voters can learn more about Dr. Ricardy Anderson and her platform, along with current endorsements, by visiting her website. Residents of Mason District who would like to have an opportunity to weigh in on this endorsement need to join the Mason District Democratic Committee by 5pm on March 22nd in order to be eligible to vote in the April 24th election. 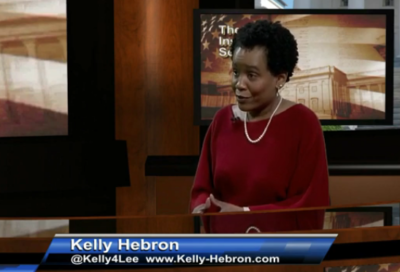 In the third segment of the show Catherine speaks with Kelly Hebron, who is running for the Lee District Board of Supervisors on the Democratic ballot. Kelly is an attorney and business owner who has lived in Lee District for 20 years. She and her husband have settled in the community and are raising their two daughters there. Kelly is invested in Lee District, and believes that there needs to be a new voice at the table in order to represent all of the residents of her district. Hebron notes that there are a wide variety of neighborhoods and constituents in the Lee District. It is home to some of the most affluent neighborhoods in the county, but it there are also pockets of extreme poverty. The district covers 30 square miles of land south of the beltway (I-495), between Franconia and Ft. Belvoir. With many languages that are spoken, and many cultures that are represented, she believes that the diversity is Lee District’s strength. She aims to bring people together and work toward making her home district the best place to work, live and play. Her platform covers strengthening County support for affordable housing, improving workforce development by working closely with the community college system, improving transportation options and taking care of the environment. There are many challenges facing the County today, but by working together to come up with creative solutions she is confident that she can help build a better community for all of her residents. Hebron brings a wealth of experience to the table. 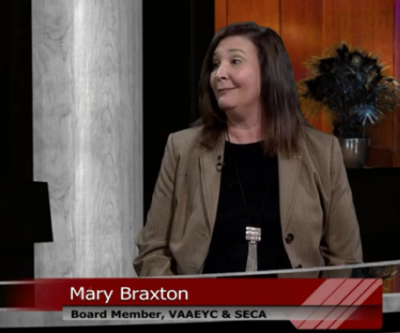 She has served on the Criminal Justice Board, the Small Business Commission, the Economic Advisory Council and has been a board member on the Commission for Business Partnerships, which promotes minority and women owned business. With an economics degree from the University of Maryland, and both a Masters of Public Policy and a JD from Catholic University, Hebron feels that she is well suited to step into the Supervisor role. To learn more about Kelly, visit her website , meet her at the upcoming candidate forum on May 4th at 10am, and make a plan to vote in the primaries on June 11th. 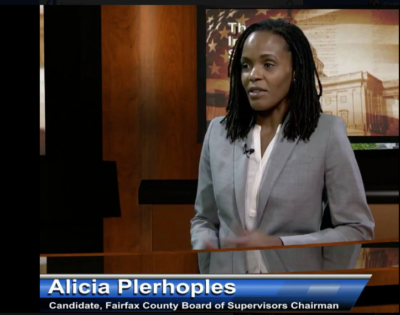 Alicia Plerhoples, an attorney and professor at Georgetown University Law School, is running for Chairman of the Fairfax County Board of Supervisors. A graduate of Harvard College and Yale Law School, Alicia launched her career in NYC as a commercial real estate attorney. She then turned her ambitions to her passion of community economic development, working mostly in the nonprofit arena. 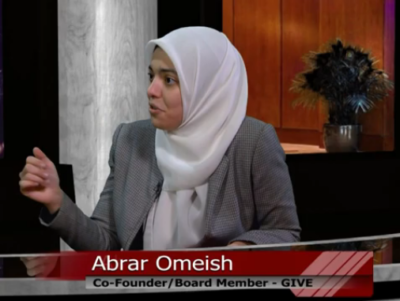 As a current professor at Georgetown, she heads the legal clinic, through which she and her students represent nonprofits, small business, incubators, co-working spaces and community organizations. Plerhoples lives in the Dranesville District, where she and her husband are raising their two daughters. She serves at the PTA president of her children’s elementary school, as well as holding a spot on the Governing Board of the McLean Community Center and serving on the board of her neighborhood citizens association. As a co-founder of Virginia Democracy Forward, a progressive grassroots organization based in Northern Virginia, Alicia has worked to raise money and elect Democratic candidates throughout the commonwealth. Alicia decided to enter the raise for Chairman of the Board because she did not see her voice represented in the current slate of candidates. While Fairfax County is has great wealth and success, there is an underlying issue of growing poverty, and she believes that bold action needs to be taken to ensure that we stem the tide of inequality. She knows personally about how quickly a family can fall from making ends meet, to being in a dire situation of finding themselves without a permanent place to call home. When she was in the fourth grade her father lost his job, and they were subsequently evicted from their home. This set off a period of economic instability, and her family was not able to find affordable housing. At the tender age of nine, she spent her entire fourth grade year living in a hotel room and experiencing food insecurity. This made a huge impact on her, and is the driving force behind her desire to work toward economic opportunity for all. Plerhoples is running on a platform that supports these ideas. She wants to improve access to workforce development and affordable housing, address climate change through innovation with local business, and work toward universal preschool for all children in Fairfax County. To learn more about Alicia you can visit her website. She encourages all Fairfax County residents to make a plan to vote in the June 11th primaries. The chairman race is a county-wide election, so all residents will have an opportunity to make their voices heard. (February 4, 2019) Catherine Read speaks about the upcoming Dyslexic Edge Conference with Kristin Gauthier of Sliding Doors, Tracy Mason, Assistant Dean at George Mason University College of Science and Shannon Duncan of Decoding Dyslexia Virginia. In addition to discussing the upcoming conference, they talk about information regarding dyslexia advocacy in the Virginia General Assembly. In the first segment, Catherine interviews Kristin Gauthier, founder and director of Sliding Doors, a STEM and dyslexia learning center. Her organization aims at helping students who have dyslexia, and includes a formal 2-year instruction program coupled with STEM focused enrichment. Students with dyslexia are shown to have a natural talent in STEM related fields. 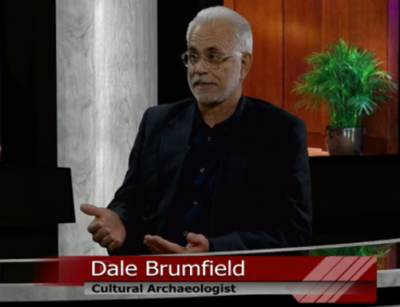 Therefore, one of Gauthier’s goals is to promote this amongst students, families and STEM professionals. Gauthier has been instrumental in getting the Dyslexic Edge Conference off the ground, and is working to get the word out into the community. She emphasizes that their philosophy is to focus on nurturing strengths in students with dyslexia, as opposed to looking at their challenges, and to use that as a launching pad for future endeavors. The conference is geared toward three audiences: children and their families, teachers and STEM professionals.The day will be divided into two parts, the morning programming will consist of speakers for teachers and parents, while the afternoon will be hands-on learning workshops for students and families. Dyslexia is said to affect 1 in 5 students nationwide. Gauthier shares that early detection is key, in order to ensure that children do not fall far behind their peers. If a child is identified during kindergarten in the early stages of learning to read, then they would need approximately 30 minutes of daily intervention to stay on track. If that same child is diagnosed in third grade, the needed intervention time jumps to a whopping 3 hours a day. A conference goal is to raise awareness so that teachers can recognize warning signs and red flags, ensure that children are properly screened, and provide teachers with resources that they can use in their curriculum. 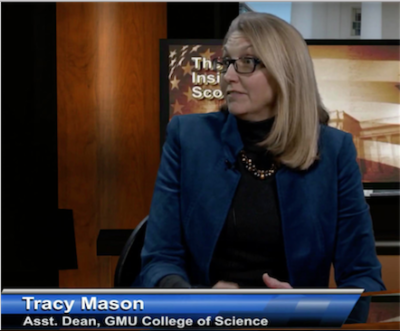 In the second segment Catherine speaks with Tracy Mason, the Assistant Dean for the College of Sciences at George Mason University. She is thrilled that the University is hosting this conference as a collaborative effort between the Colleges of Science and Education. Her desire is to promote education that is accessible to all individuals. People with dyslexia tend to have natural talents in STEM related fields. These students, however, are often overlooked in the sciences because they struggle with reading when they are young. So much of their time and energy is spent on acquiring the reading skills, that many children get frustrated and give up on academics altogether. This conference aims to spark curiosity in the children, while also inform parents that they should nurture their children’s passions for the sciences. The goal is to demonstrate pathways to the future for these students. Mason notes that if they can reach children when they are young and curious, then they hope to make an impact and help inspire them to follow their passions. Additionally, Mason finds it important to inform STEM professionals that students with dyslexia can have very successful careers in the sciences. Raising awareness, and forming partnerships with these companies, can help produce the workforce of the future. Currently, there is a shortage of professionals in the STEM workforce, so nurturing these relationships will be a critical step in helping to fill this gap. 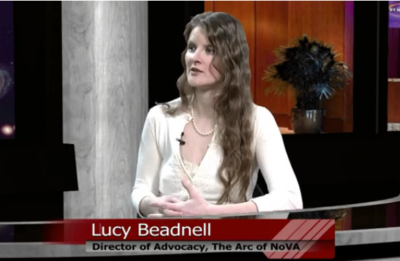 In the third segment, Shannon Duncan of Decoding Dyslexia Virginia speaks with Catherine about advocacy efforts in the Virginia General Assembly. Her organization was founded in 2015, and over the past few years they have grown their membership and worked hard to move the conversation surrounding dyslexia forward. Decoding Dyslexia strives to define dyslexia, promotes early identification of dyslexia, supports quality teacher training and encourages school districts to offer assistive technology to help dyslexic students. Decoding Dyslexia Virginia has had two legislative victories since inception, and one bill that is making its way through the legislature this year. The first bill passed in 2016, which requires teachers to go through a training module with VDOE to educate them about dyslexia, and raise awareness about the condition. The second bill that passed in 2017 requires that each school division employ an expert in dyslexia, in order to be a resource to both parents and teachers. This year’s bill, SB 1718 requires mandatory K-3 screening for children in an effort to identify the condition early on. Duncan notes that the earlier that a child can be identified as dyslexic; the less intervention is required to get them on track. The Dyslexic Edge Conference will be held on March 23rd on the campus of George Mason University. Mason and Gauthier note that they are still open to brining on partners in the form of sponsors for the event and display tables to run activities with children. If you are interested in getting involved you can reach out to them via their website www.thedyslexicedge.org or you can email directly at [email protected] .